The SAGES 2015 Final Program is now available for immediate download as a 10 megabyte PDF file. The final program books will be handed out when you check in at the registration desks in Nashville unless you registered using the “Paperless” option. 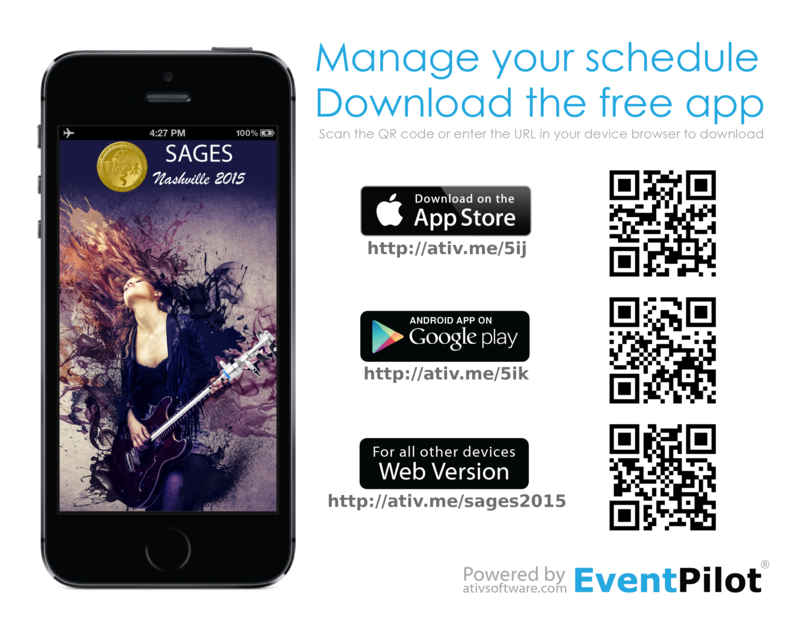 In addition to the printed program, the SAGES 2015 Meeting App and Schedule Planner are both available and will be updated throughout the meeting. We strongly encourage all attendees to download the app and use the planner to begin selecting your personal schedule for the meeting.